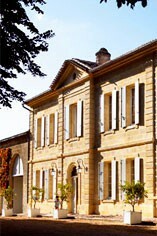 Château Clos Fourtet is a St. Emilion 1er Grand Cru Classé property located just outside the entrance to the town. It is distinguished by its beautiful ivy-covered manor house and some of the most extensive underground cellars in the region. Clos Fourtet has had several owners over the years and underwent a mini-renaissance under the stewardship of the Lurtons in the latter half of the last century. Pierre Lurton was the winemaker who really established the property`s reputation as one of the finest on the St. Martin plateau. He left to become winemaker at Cheval Blanc and was replaced by Daniel Alard. In January 2001, Clos Fourtet was bought by Paris businessman Phillipe Cuvelier. 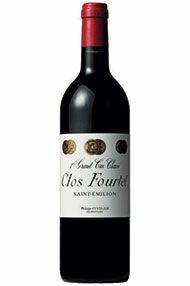 Clos Fourtet has 19 hectares of vineyards planted with Merlot (72%), Cabernet Franc (22%) and Cabernet Sauvignon (6%). The wine is vinified traditionally and is aged in oak barriques (60-70% new) for 18 months. It is bottled unfiltered. The nose here is so seductive. With high-toned notes of violets, autumn leaves and a gorgeous toasty mocha edge, the seduction continues on the palate with sweet fleshy Merlot fruit coated by fine tannins and toasty, spicy notes from the oak. There is a freshness, energy and overall balance that really impresses. This has a wonderfully intense nose of vibrant plum, cassis, blueberry and violets and is beautifully pure. It has a voluptuous feel in the mouth, with well-integrated tannins, and lots of purple and blue fruit. A touch of orange peel and mint add to the complexity of it as it carries on, then with darker fruit and chocolate. Beautifully woven together, it has a brilliantly long finish, and left the team smiling. The 2017 Clos Fourtet is one to keep an eye on.